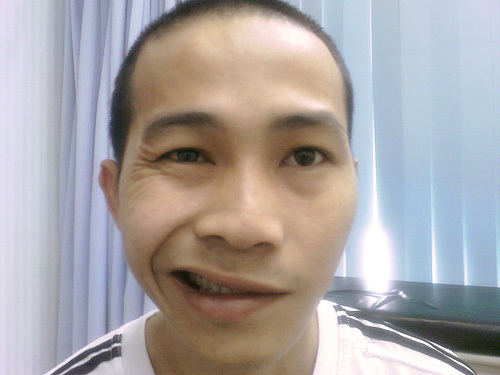 Bell’s palsy is a condition that causes facial muscles to weaken or become paralyzed. This condition is caused by trauma to the 7th cranial nerve, also referred to as the CN-VII nerve. Bell’s Palsy is caused by an inflammation within a small tube called the fallopian canal. The inflammation of the fallopian canal results in impairment of all functions controlled by the 7th nerve. Acupuncture treatment is to regulate Qi(energy) and blood circulation in order to remove obstruction and restore facial nerve function. While some cases of Bells Palsy will spontaneously resolve within a few weeks, this is likely due to the severity of the attack (e.g., the less severe, the easier and less time it takes for the body to fight off the disease). In most Bells palsy cases however, the patient has a deficient immune system that prevents them from effectively combating the illness and subsequently, the condition may linger on even return. Since acupuncture can help to move the blood circulation and energy to the affected site to help restore function, and also has immune enhancing effects, it is a welcome addition to the treatment of peripheral facial paralysis that can increase the potential for a faster and complete recovery. To prevent future recurrences of the disease, it is also necessary to eliminate any possible factors that can treat the immune system, and maintain a healthy lifestyle involving proper rest, moderate exercise, a balanced, nutritious diet (lots of fruits, vegetables, whole grains, nuts, legumes, fish, and reduced portions of red meat, poultry and dairy), and creative outlets for relieving stress. In my experience; patient should try traditional Chinese medicine through acupuncture, cupping, and herbal medicine that can significantly improve and help to resolve the condition.